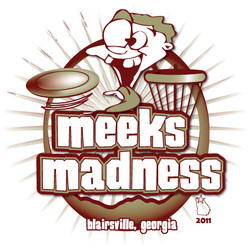 Located in Blairsville, Georgia in the scenic North Georgia Mountains, Meeks is a beautiful and challenging 18-hole disc golf course. Designed by John Nisewonder, it features both open and wooded holes on mixed terrain that satisfies the player who likes to air it out as well as test his/her technical abilities. Play from either the short or long tees. Please don't litter on the course, do not destruct benches/trash cans/signs/baskets/vegetation. A lot of hard work goes into building, breaking in, and maintaining a course. Not to mention, our local parks and recreation organization is extremely generous to offer the land necessary to build one of these feats of engIneering. Be thankful, courteous and respectful so that this course (and other existing courses) can remain standing, and that future courses may be installed.